A fun way to relax yout mind, a simple text based game where you can become a ninja of feudal japan. 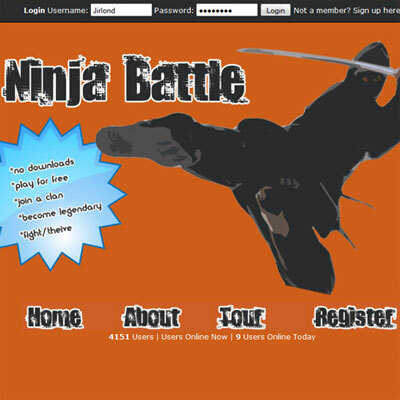 Arm yourself against your opponents with a flurry of skills and weapons of the ninja and best of all it's free. We can design online game websites, MMORPG websites and other graphic rich websites. Call us now for more information.